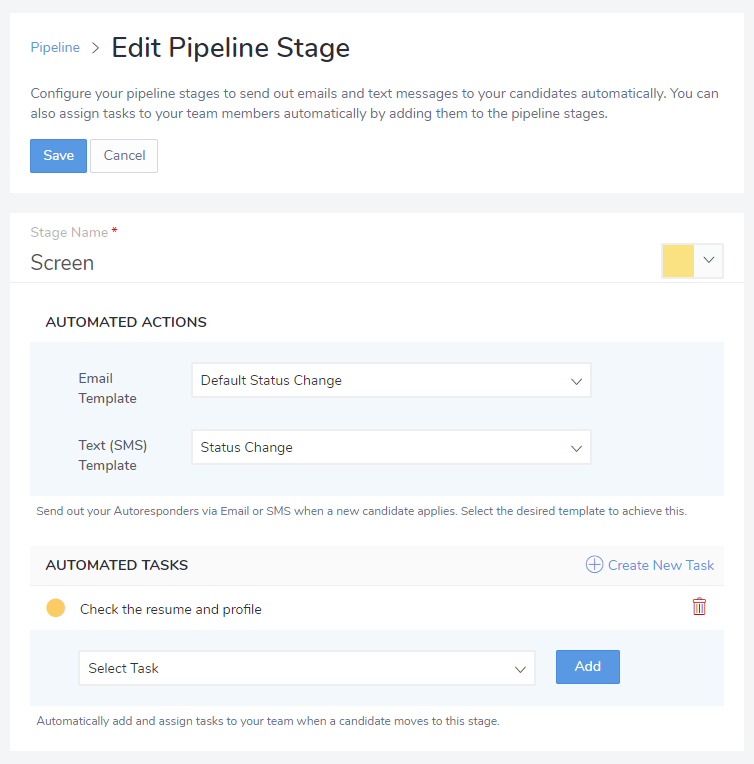 You can fasten your recruitment process by adding automated actions and tasks to your recruitment pipeline. While you are moving candidates across different stages of the recruitment pipeline, Jobsoid can automatically send an email or assign a task to your hiring team using this smart feature. 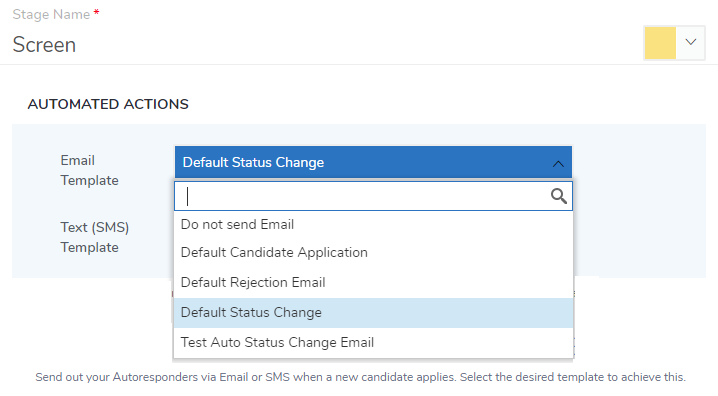 Jobsoid sends out emails and text messages to your candidates automatically. These actions are triggered as soon as any candidate is moved to the particular pipeline stage. These emails are typically used to send out Autoresponders or to notify a candidate the progress in the recruitment process. For example: Suppose if you add ‘Status Change’ email template to the Interview stage of your recruitment pipeline. Any candidate reaching the Interview stage will receive an email notifying him of the change in the pipeline stage. You can also customize these emails the way you want. 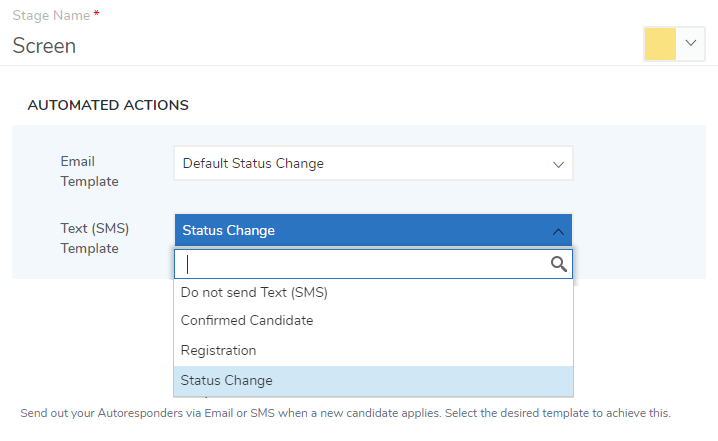 Similarly, you can also send a text message to your candidates to ensure that they do not miss out on your emails. Jobsoid can assign tasks to your team members automatically on your behalf. You need to add tasks to the particular stage of recruitment pipeline. Also, you do not have to follow up with your team regarding tasks as reminders are automatically sent to the concerned team member when the task is due for completion. Save the changes made to the stage by clicking on Save button. Jobsoid also allows you to edit the pipeline stages to make changes as per your requirements. Click on the Edit icon to edit it.